This is a great deal and would make a wonderful holiday gift idea! 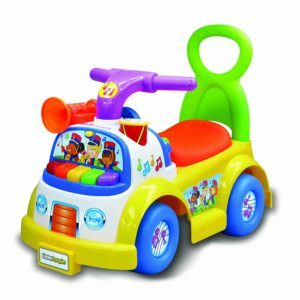 You can get the Fisher-Price Little People Music Parade Ride-On for only $29.84! That is a savings of 25% because this is normally $39.99! This fun Ride-On toy has fun instrument sounds such as trumpet, drums, saxophone, and tuba. This fun toy includes 5 different marching tunes. Make sure that you snag this deal soon because the prices can change on Amazon at anytime! CLICK HERE TO ORDER the Fisher-Price Little People Music Parade Ride-On for only $29.84 today!